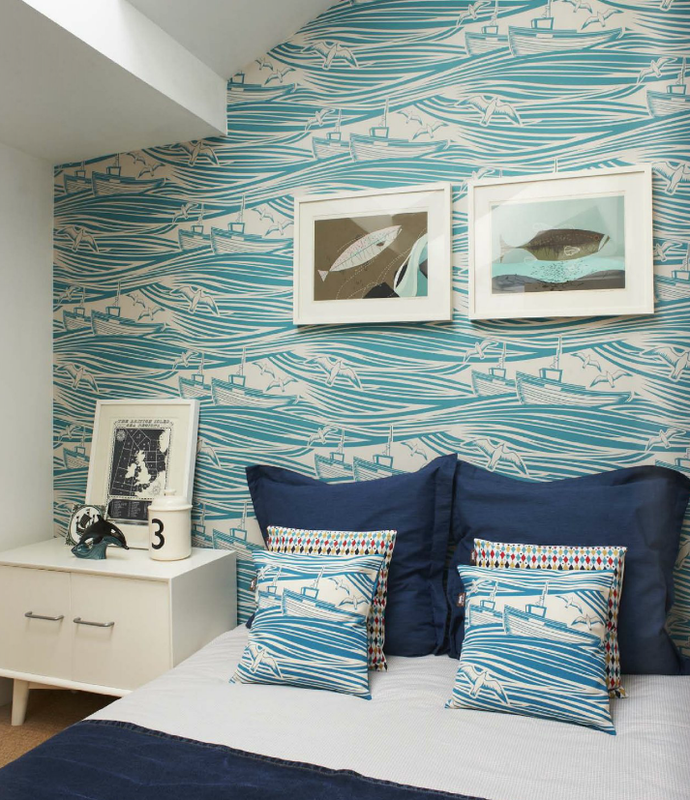 Mini Moderns HQ and the home of Keith and mark was featured in issue 3 of Heart Home magazine. We were very pleased with the photography and story and the whole shoot was a very pleasurable experience. Featured here is Whitby wallpaper in Lido, teamed with Whitby cushions. Also featured are original signed prints by Charley Harper and James Brown. Hi Hannah. Thanks for the lovely feedback. We love the cabinet too – we call it the rabbit hutch. It was found in the street in Hackney by our friend Rob about 15 years ago – not much help, I know!